Join Campus Safety and Motorola Solutions to learn how you can work to obtain funding and secure technology to keep your schools safe and productive. 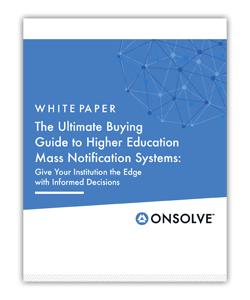 Approximately one billion dollars in school safety grant funding is available for public and private schools through federal, state and local resources, but grant information is decentralized, the process is complicated and your time is limited. 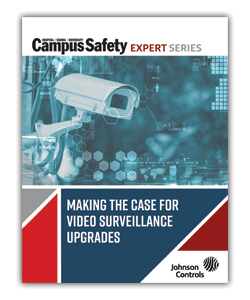 Join Campus Safety and Motorola Solutions to learn how you can work to obtain funding and secure technology to keep your schools safe and productive. How have the grants changed in the past six months? What grants cover communications solutions? Are there other sources of funding to be considered? Since 2009 Sarah has worked tirelessly to grow our Grants Division at Praetorian Digital. She has built an impressive team and worked hard to support Praetorian’s mission of helping local government better serve and protect our communities. The $150MM in grant funding milestone the Grant team has achieved is the perfect testament to those efforts. The Grants Division offers SaaS, data and workflow tools to municipalities, departments and vendors as well as grant writing services. 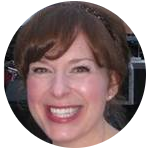 Sarah joined Praetorian in 2007 to manage business operations for the company. Partnering with the CEO Alex Ford, they were able to create a new division focused on grants and funding in 2009. Over the past several years, Sarah has scaled the division and become a leading expert on local government grants She and her team have helped fund much-needed equipment and personnel in the markets we serve, while providing incredible value to advertisers. Prior to Praetorian Digital, Sarah held various marketing and organizational management positions within financial services. She earned her bachelor’s degree from the University of California at Davis. A west coaster her entire life, Sarah was born in Honolulu, Hawaii, raised in Southern California and currently calls San Francisco home. 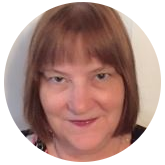 Dr. Judy Riffle is a Grant Writer and Consultant for EducationGrantsHelp.. Dr. Riffle is a former K-12 teacher, education specialist, new teacher mentor, and administrator with degrees in special education, Deaf education, and educational leadership. Besides being a member of the Grant Professionals Foundation (GPF) Board of Directors, she also chairs the GPF Marketing Committee, and is the Governing Board Vice President for the Green Valley Sahuarita Chamber of Commerce Foundation. Dr. Riffle owns Santa Cruz Grants & Consulting, LLC, and has raised over 17 million dollars for various schools, school districts, and nonprofits She loves traveling, reading, writing, and spending time with her grandson.